During the 6-week exhibition, coinciding with London Design Festival and in his first presentation of new work since Milan Design Week, Yinka Ilori adds pieces to his collection by using a combination of vintage modernist furniture and traditional stories from his childhood, creating one-off pieces inspired by traditional Nigerian parables and story-telling, creating meaningful yet humorous furniture designs. Yinka will be at The Old Shoreditch Station for live up-cycling sessions, using pieces donated by Jaguar Shoes and vintage modernist furniture from across East London, working in all three spaces, the building itself having been renovated and up-cycled by its owners JaguarShoes Collective. Look Like Love - Set up by Kate Brewer and Eden Asfaha in 2011 to support, promote and showcase new designers, Look Like Love have extended their reach beyond their blog and on-line shop, to work with designers on an individual basis to co-curate, in Ilori’s case, his first solo exhibition. 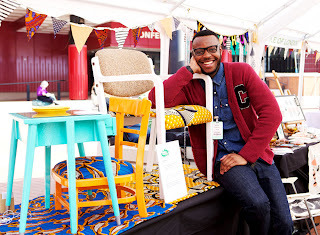 Yinka Ilori - Product & furniture designer with the future in mind, Yinka Ilori up-cycles and re-works old, unloved furniture to produce brand new interpretations. Yinka Ilori aims to challenge perceptions of waste through the regeneration and revitalisation of every-day furniture, where every piece deserves the chance to be loved again. 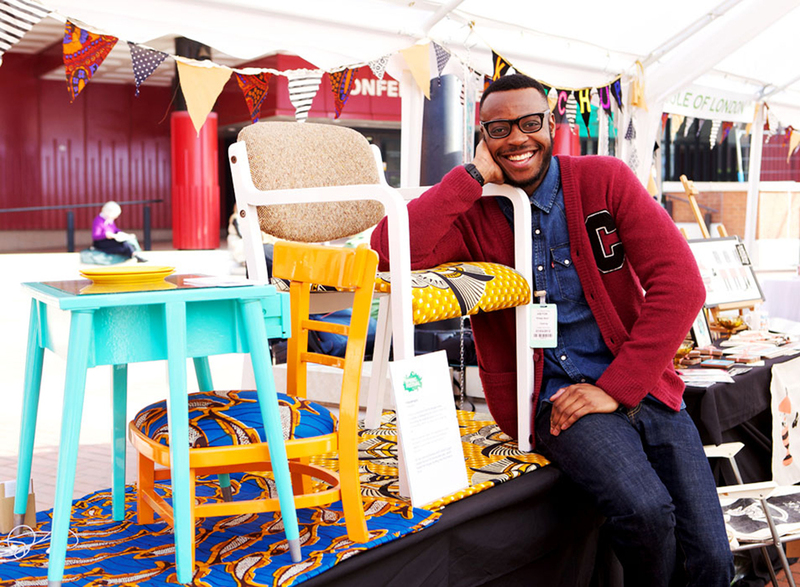 Yinka Ilori has benefited hugely from the Prince’s Trust who supported him when he graduated, and without their assistance, he would not be the successful designer he is today. JAGUARSHOES COLLECTIVE - constitutes a group of creatively motivated businesses and individuals working in art, film, fashion, music, publishing and design. We provide many platforms for creative talent; from exhibitions and events, to collaborative products and retail opportunities. We believe in, and aim to motivate positive change through creative output.